"Ladbrokes plc announces it has today changed its name to Ladbrokes Coral Group plc. The merger is expected to complete on November 1, 2016." 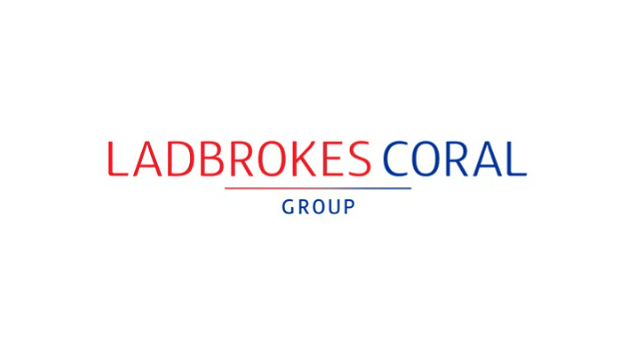 The entity will officially be known as Ladbrokes Coral Group and has instantly become the country’s largest retail bookmaker, overtaking William Hill. Ladbrokes and Coral were previously the second and third-largest bookmakers in the country respectively. The Group has a combined portfolio of over 3,500 betting shops and employs around 25,000 staff. As well as being the leading bookmaker in the UK, Ladbrokes Coral is also number one in retail in Ireland, Spain and Belgium, and will have a strong presence in Italy through Coral’s Italian division Eurobet. As well as being a dominant force on the high street, Ladbrokes Coral will also be one of the world’s largest online betting sites, with both Ladbrokes and Gala Coral seeing strong growth in their digital divisions this year. Ladbrokes and Coral will still retain their own separate websites. The merger was only approved by the UK Competition and Markets Authority (CMA) after Ladbrokes and Coral agreed to sell 359 of their shops, due to concerns about competition in certain locations in the UK. Betfred and Stan James beat rival Boylesports in the bidding to acquire the shops for a cash value of £55.5 million. The 359 shops consist of 185 from Ladbrokes and 174 from Coral, with Betfred, a UK-based bookmaker who is struggling with recent claims of misconduct, buying 322 of the outlets and Stan James gaining the other 37. The historic merger unites two of the country’s most popular and well-established betting brands. Ladbrokes has been around since the 1880s and is a FTSE 250 company, while Coral was originally founded in 1926 and has already been through one major merger in its history, after its acquisition with bingo operator Gala in 2005 to become Gala Coral. The deal was first confirmed in July 2015 after a similar merger bid had failed in 1998. The newly formed Group listed on the London Stock Exchange on Monday and there was a small increase in the Ladbrokes Coral share price during its first morning of trading. The company will have revenues of around £2.1 billion and is targeting £60-70 million in savings in the short term. It is thought that it will be headquartered in Stratford, London. "This is a historic day for the company and one which marks the start of an exciting journey for the business. Both Ladbrokes and Gala Coral have demonstrated their ability to compete hard and win in increasingly competitive markets." "Our merger with Ladbrokes brings new and exciting opportunities for both companies and, under the leadership of Jim Mullen, we are now in a position to make our ambition of creating the UK's leading betting and gaming business a reality." The deal between Ladbrokes and Coral is the latest in a wave of mergers and acquisitions that the betting industry has witnessed over the last couple of years. In March of this year, Paddy Power and Betfair completed their merger to create one of the world’s biggest online bookmakers, while GVC, owner of Sportingbet, purchased Bwin last year for £1.1 billion, beating rival 888. William Hill has also been the subject of recent takeover bids from 888 and Rank Group, but so far it has resisted. In the face of stricter regulation and higher taxation, plus growing competition from newer, online rivals, many established betting companies are choosing to merge in order to secure their position in the market and grow their digital offerings. It is certainly a time of much change in the industry and it will be interesting to see how the merger between Ladbrokes and Gala Coral affects things. If you're interested in seeing what effects these major changes have on each site, you can head over to Ladbrokes today, then visit Coral right after and see just what this merger has to offer!